In Fiscal Year 2002, the Department of Elder Affairs launched the Elder Abuse Initiative. This partnership with Area Agencies on Aging, the Department of Human Services and other stakeholders in the community provides enhanced prevention, detection and reporting of abuse while also offering local advocacy and system coordination to ensure the protection of Iowa Seniors. The result is that identified Iowans age 60 and over gain information about available services and support systems. At this time, the initiative operates by means of Regional Prevention Coordinators (AAA Staff) within the following Area Agencies on Aging and counties: Southwest 8 Senior Services (Fremont, Harrison, Mills, Montgomery & Pottawattamie), Heritage (Linn, Johnson & Cedar), Hawkeye Valley (Marshall, Tama, Hardin & Grundy) and Northwest Aging (Lyon, Osceola, Dickenson, Emmet, Sioux, O'Brien, Clay, Palo Alto & Buena Vista). It is our goal to provide the most up-to-date information regarding identifying and reporting elder abuse, neglect and exploitation. If you would like to be referred to an attorney for assistance please complete this form. Who is at risk of abuse? 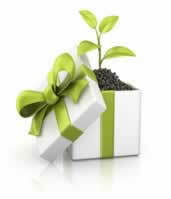 "Improve the planet, one gorgeous gift at a time."